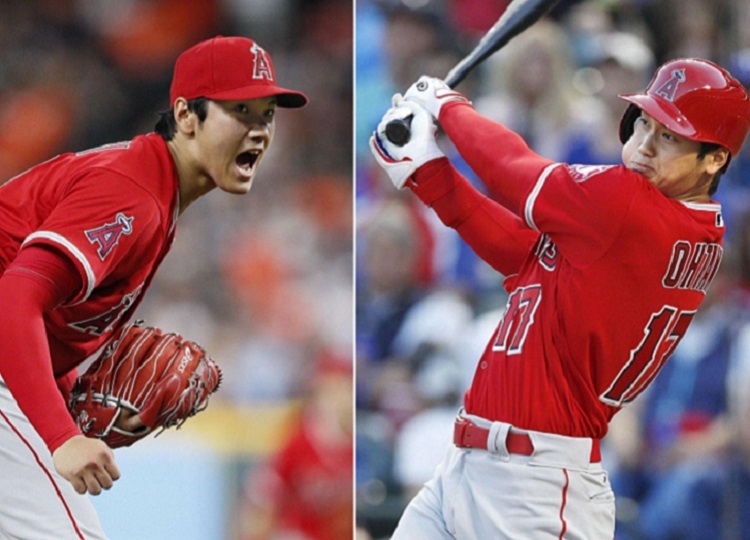 Los Angeles Angels two-way star Shohei Ohtani became the fourth Japanese player to win a Major League Baseball Rookie of the Year Award when he was recognized as the best first-year player in the American League on Nov. 12. Ohtani is the first Japanese player to win the honor since Seattle Mariners’ Ichiro Suzuki in 2001. The award is given annually to one player from each league as voted on by the Baseball Writers’ Association of America. Ohtani received 25 first-place votes and four seconds for a total of 137 points. The Yankees’ Miguel Andujar was the only other player in the American League to receive any first-place votes, taking five to finish with 89 points. Atlanta Braves outfielder Ronald Acuna Jr. was named Rookie of the Year in the National League. Hideo Nomo of the Los Angeles Dodgers was named the NL Rookie of the Year in 1995 and Mariners’ Kazuhiro Sasaki was the AL Rookie of the Year in 2000. In his major league debut, Ohtani, 24, joined Babe Ruth as the only other player to hit 15 home runs and pitch 50 innings in a season, as well as start 10 games and hit 20 homers.